This month we’re excited to spotlight our Clinical Leadership team! Our clinicians strive to create brighter futures for the students they come into contact with each day – our clinical leadership team strives to help create brighter futures for our clinicians by helping them achieve their professional goals. 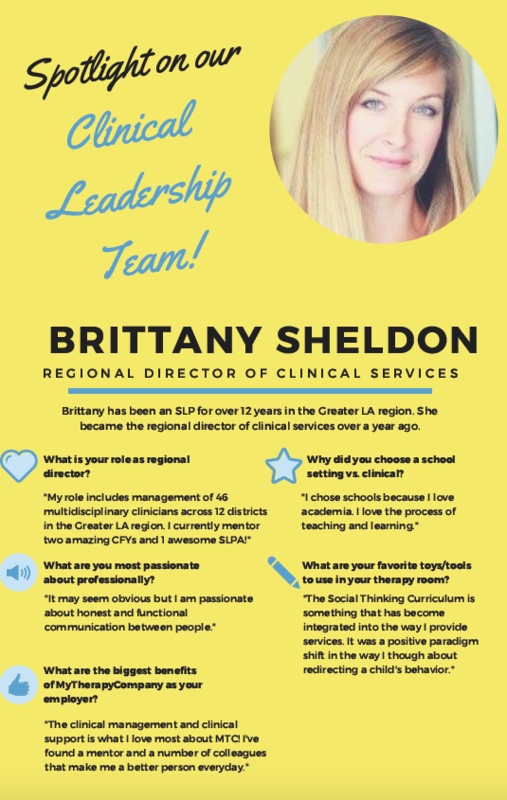 This month, we interviewed Brittany Sheldon, M.S., CCC-SLP, our Regional Director of Clinical Services. Click HERE to read more!